You have been devoted to your exercise regime and opted for a healthier diet; despite all of your hard work, stubborn pockets of fat can linger, knocking your confidence and motivation levels. A double chin can be incredibly difficult to shift, they’re not always caused by weight gain and can be attributed to uncontrollable variables such as age and genetics. Going under the knife is always an option but surgery can be daunting and often involves a long recovery period after the operation. There are non-surgical ways to banish your double chin so that you can feel more empowered when you are faced with your reflection. A double chin occurs when there is excess volume under the chin and neck area which gathers around the neck sagging down to create a wrinkle that looks as if the client has a secondary chin, although an ill-defined jawline can also give the appearance of a double chin. The appearance of a double chin can dramatically affect the confidence, self-image and self-esteem of a person. It can often contribute to making those who have the condition looking older or appearing to be heavier than they are. Some individuals are more prone to developing a double chin which is caused by their genetics. Weight gain can also have a negative affected and fat in this area is difficult to remove despite exercise and diet. Ageing is another factor that causes lose elasticity in the skin making it more likely to sag. However, at RT Aesthetics we have a variety of non-surgical treatments available to help with this common issue and give you the body confidence you deserve. If your unsure on what treatment would be most effective you can contact us or book a free consultation. RT Aesthetics advanced practitioners will discuss everything in detail and design a treatment plan based around your own goals and expectations. Double chins can sometimes be a cause of the ageing process. As we go through the natural ageing process collagen production slows down and the jowls and jawline starts to lose elasticity, resulting in the skin becoming looser and showing signs of sagging. Our non-surgical face lift treatment, HIFU skin tightening treatment, more commonly known as Ultherapy®, is effective for lifting and tightening lose and/or sagging skin. Known as the ‘lunchtime facelift’, a HIFU treatment takes minutes to administer and effectively reduces the appearance of your double chin. The HIFU treatment has the ability to target deep, structural layers in the skin, such as the Superficial Musculo-Aponeurotic System (SMAS) layer. The SMAS is the same area that is targeted and tightened during cosmetic surgery. However, unlike surgery, HIFU is non-invasive and non-surgical with no downtime. 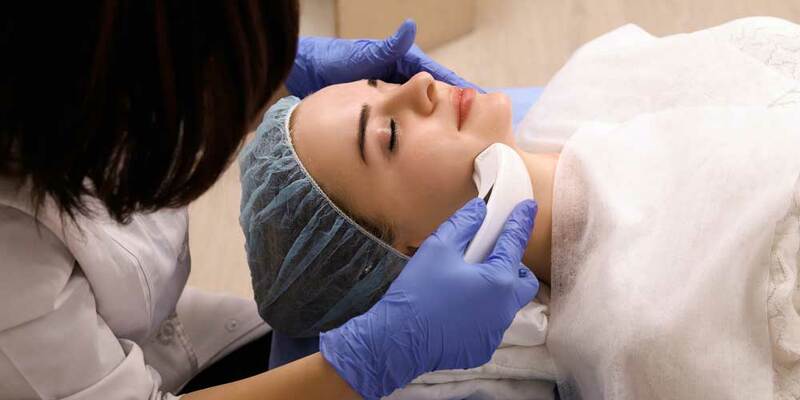 A HIFU facelift works by targeting beams of High-intensity focused ultrasound waves onto the fat cells in your chin, firming and tightening the skin. This method also stimulates the production of collagen which will make your skin appear more youthful and textured while tightening and toning the chin in the long term. The HIFU double chin treatment is perfect for tightening and lifting those droopy jowls, or commonly known as ‘turkey neck’. The treatment results in a more defined jaw line and reduction of the double chin. Just one HIFU treatment is normally required with results developing over 6-12 weeks as your body starts the production of collagen that creates a lifting and tightening effect. A great advantage of HIFU is that it comes with very few side effects, most of which usually clear up in a matter of days. For those with a low pain threshold, this treatment could be ideal for you as the sensation is warm and tingly instead of painful. One of our most popular non-surgical fat reduction treatment Cryolipolysis, or commonly known as Coolscultping®, 3D lipo, Cryo-Lipo and fat freeze. Fat freezing is a non-invasive, non-surgical, clinically proven method of targeting fat in problem areas using cooling technology. The procedure involves controlled cooling within the temperature range of -7 to -10 °C. This destroys the fat cells by a natural process called apoptosis. Cryolipolysis could be the perfect solution to treat that double chin by freezing and destroying the fat cells. RT Aesthetics fat freezing treatment procedures can target pockets of stubborn fat beneath your chin, casing the fat cells to die by a natural process called apoptosis (natural cell death). Cryolipolysis targets stubborn fat cells and freezes them so that they can never return. Results usually take a few weeks to show as the dead fat cells are flushed out of your body through the lymphatic system, resulting in a more contoured chin. This fat freezing method is incredibly popular among celebrities such as Khloe Kardashian and Jennifer Aniston who use it to get a more defined figure. For those who lead a busy work or home life, fat freezing is the ideal treatment as there is no recovery time needed after it has been administered. It’s a multipurpose treatment, as fat cells are destroyed and skin is tightened simultaneously. Cryolipolysis is a safe, effective and pain free treatment that offers a non-invasive solution to targeting a double chin without surgery. There is no recovery time and you can carry on with you normal activities immediately after the treatment. 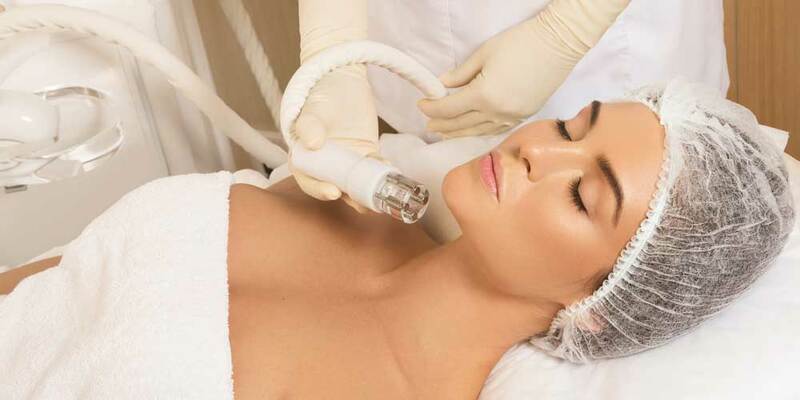 When pricey face creams that promise to firm and slenderise don’t work, it might be time to consider Radio Frequency treatment; it’s a great long-term treatment for individuals looking to banish their double chin. Radio Frequency for double chins is on of the most popular non-invasive, non-surgical fat reduction treatment offered by RT Aesthetics. This modern technique melts away fat cells and can sculpt out a jawline that could cut glass. This treatment penetrates deep into the layers of fat so that your skin looks and feels tighter. Radio Frequency treatment can also turn back the years, as 91% of women found that Radio Frequency treatment reduced the appearance of fine lines and wrinkles, giving them an overall more youthful appearance. Many clients combine the Radio Frequency with the double chin 360 freeze treatment. This allows the fat cells to be broken down with cryolipolysis, causing natural cell death in many stubborn fat cells in the chin. The combination of these 2 treatments causes the fat cells to be easily removed by the body and results in a more toned and defined chin. Radio Frequency uses radio frequencies waves, this causes heat to the tissue and stimulates collagen production in order to reduce the appearance of fine lines and loose skin. The technique induces tissue remodelling and production of new collagen, resulting in tightening of the skin and causes apoptosis (natural cell death) of the fat cells. This leads to the reduction of fat layer in the treated area. 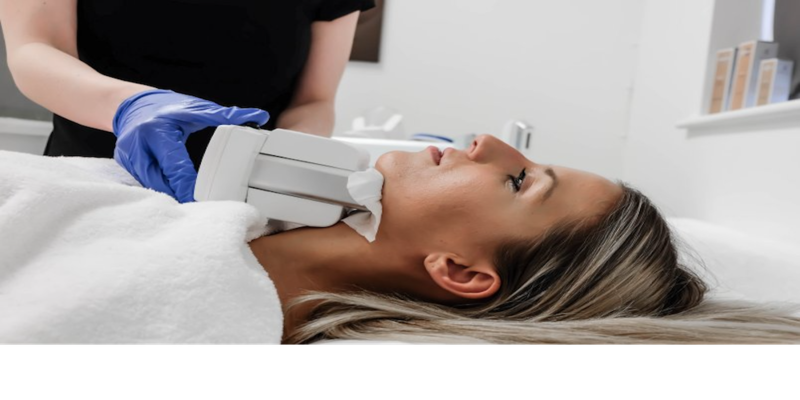 Radio Frequency treatment for the double chin is great if your wanting to see quick results, as they can be experienced more rapidly than other fat reduction treatments. A double chin can be difficult to get rid of naturally with the use of exercise and diet. 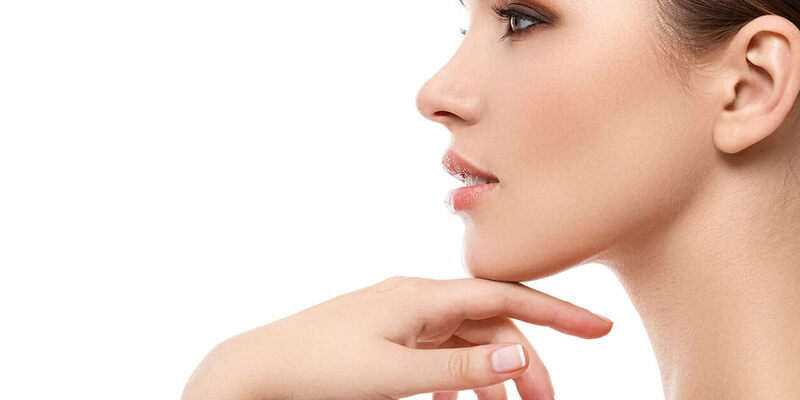 A slimmer face and more defined jawline can do wonders for your self-esteem and you don’t even need surgery to get a more sculpted face; treatments such as HIFU, Cryolipolysis, and Radio Frequency are non-invasive ways to banish your double chin for good. Radio Frequency treatments works best in conjunction with Cryolipolysis. Cryolipolysis breaks down the fat by cooling and Radio Frequency melts the fat through heat. 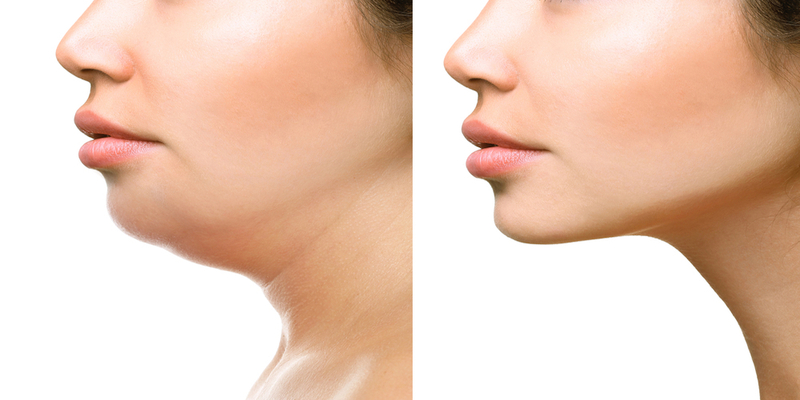 Research shows that Cryolipolysis treatment procedure are more effective in the reduction of fat in the double chin. HIFU Treatment works great on excess and lose skin. During the consultation the aesthetic practitioner will go through the different treatments available and design a treatment plan based around your own individual goals and expectations. If your unsure on what treatment would be most effective you can contact us or book a free consultation.